It's been a while since I posted, however that doesn't mean soap hasn't been on my mind! I have several varieties of soap curing currently and I have a couple more to make. Suddenly my inventory started to diminish and with the holidays approaching, I thought it best to get busy as it takes several weeks for soap to cure. Here's a peak at what's curing now and some insight into what I still may make. 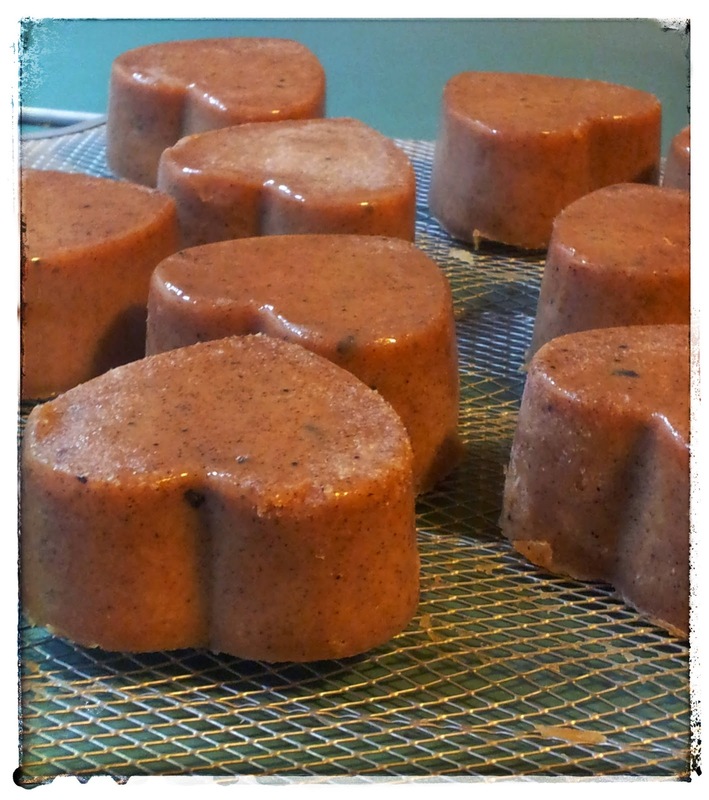 This is an old standby and one of my most popular bars: Cinnamon Goat's Milk. 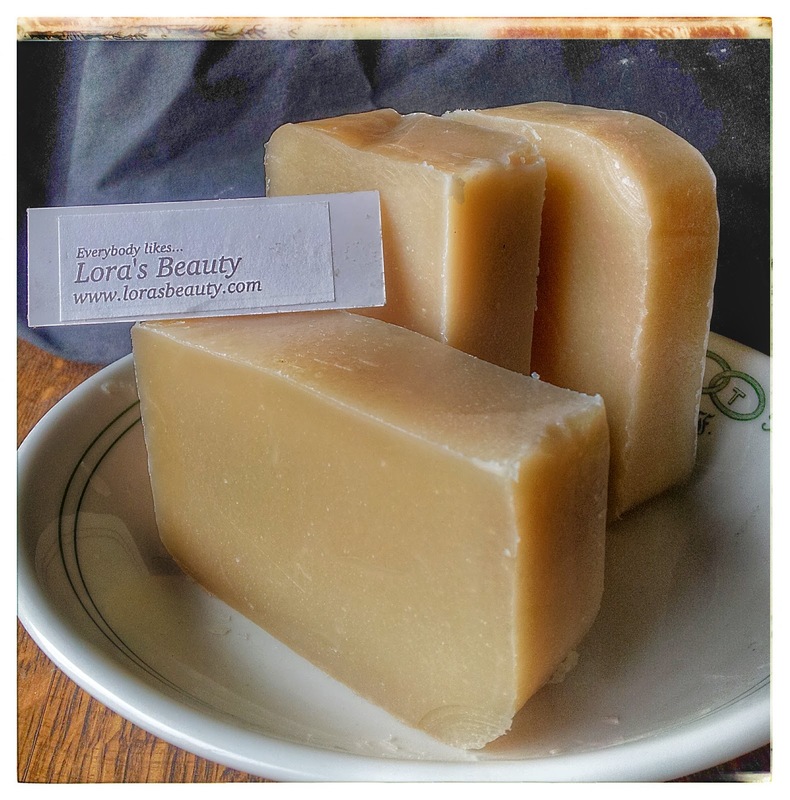 Cocoa Butter Vanilla Cream is a variation of another popular soap of mine. Extra cocoa butter is added to this bar and the moisturizing effect it has is divine! Pink Himalayan Salt Bar. This is a new one for me. I've read some great things about salt bars like they draw toxins out of the body, increase blood circulation allowing the other benefits of the soap to soak into the body more readily, and salt is wonderful at exfoliating! I can't wait to try this one! It has a refreshing lemongrass and eucalyptus scent as well! Beer Bar and Shampoo. 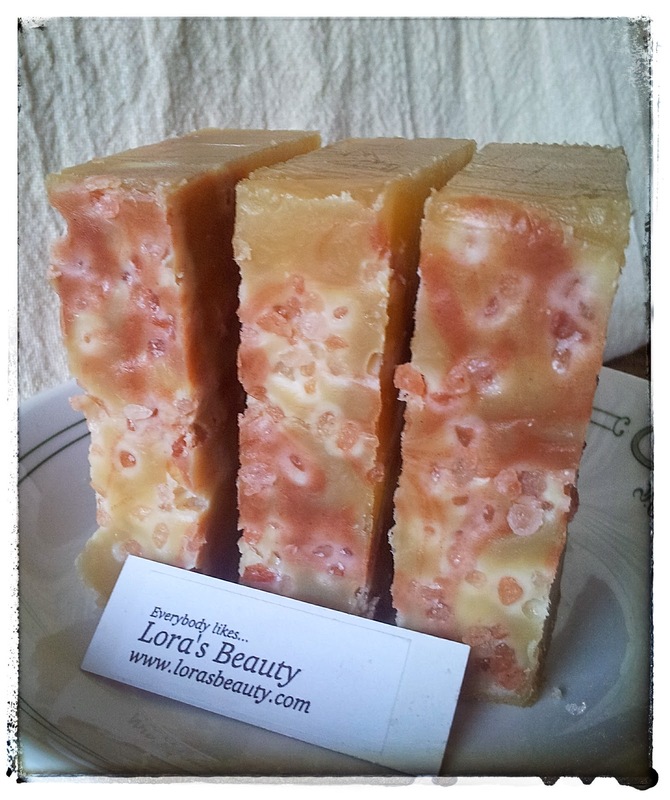 This is another popular bar from Lora's Beauty. It's a very pure bar packed with olive oil and beer. A great shampoo bar! 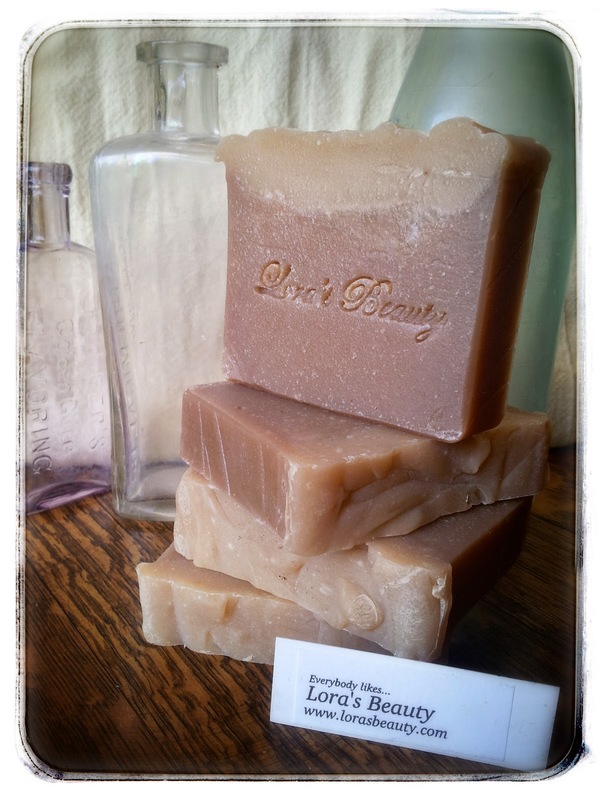 I've reformulated it so it now has a natural cedar and basil scent! There are still many bars of soap left to make. I've been drying some lemon basil, mint and peppers from the garden for soap making. 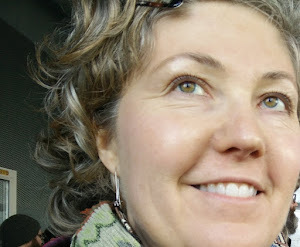 I also purchased a FABULOUS juniper essential oil that I may try in soap.